How do I configure settings to use eBay with Unify Desktop? Note: These settings pertain to eBay store profiles only. For other settings, check out the Integrating Unify Desktop with QuickBooks / Integrating Unify Desktop with POS sections. 1) Orders: You can only download Paid & Unshipped or Paid and Shipped Orders. 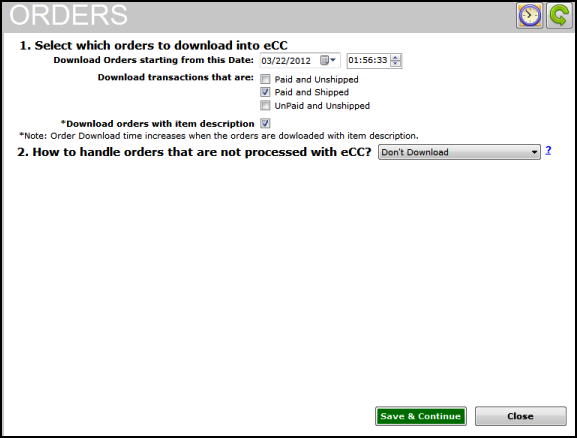 Also, you can specify the start date and time to download orders. Note: eBay allows download of orders up to 120 days in the past. 2) Expenses and Fees: Use this tab to enable the download of Expenses and fees from your Ebay account. 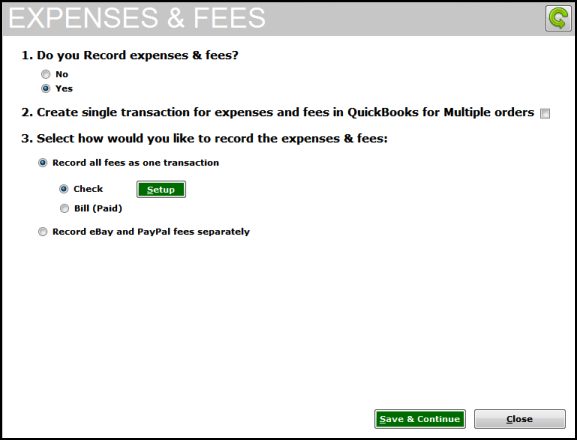 Select whether you want to post your expenses and fees as a 'Check' or a 'Bill' . Click on the 'Setup' button to specify the details of your expenses.